In the latest Episode, Abhi Offers Pragya To Stay With Him Forever. Kumkum Bhagya is one of the most loving TV serials. In the previous year, the serial Kumkum Bhagya rocks the television. The show is one of the highest TRP show. We have seen that Abhi and Pragya both love each other. 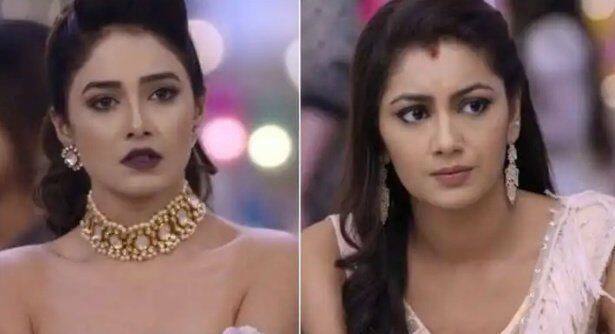 It is no secret that Pragya feels for Abhi but she also knows that they both are on different stages now, so she ignores her every feeling towards Abhi and always she walks away from him. In the previous episode of Kumkum Bhagya, we saw that Abhi and Pragya are in the washroom of Abhi’s room. Pragya has seen Tanu. Abhi moves and Pragya takes him to the bedroom. The latest written episode update 23th January 2019, begins with Aliya is within a room and she is crying very badly because of her love. She tells it all to King how much she loves Poorab. She cannot bear him with Disha but then she said that she wants to see Poorab happy and he is very happy with Disha. Now, what should she do? She cries very badly and to saw this King hugs her. King’s aunty sees this and she gets shocked. Nikhil is standing out of the hospital. Suddenly the doctor comes out and he starts to drive her car alone. By seeing this Nikhil also following her. He hit her car very badly. The doctor is scared. Nikhil intimidates her to kill if she will not tell him the truth about the report to him. She tells him that the report was all about DNA test matching of Abhi and Kiara. Abhi and Pragya both are sitting on the bed. Abhi is talking to her and does not let her go. He tells her that people outside will notice if she will go outside from his bedroom. Then he asked her to close button of her to close button of her coat he will let her go because he is used to of it.